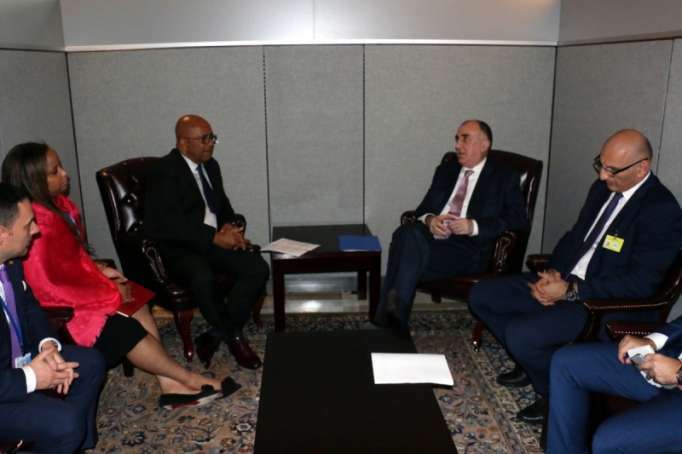 Azerbaijan’s Foreign Minister Elmar Mammadyarov met with Minister of Foreign Affairs of Lebanon Gebran Bassil, Minister of Foreign Affairs, Cooperation and African Integration of Togo Robert Dussey and Minister of Foreign Affairs of Grenada Peter David in New York on September 27. During the meetings held on the sidelines of the 73rd session of the UN General Assembly, the ministers exchanged their views over the development of cooperation between the countries. In this regard, the sides discussed the ways to enhance economic, trade and humanitarian relations, the Foreign Ministry reports. The sides also deliberated about the issues of cooperation within the international organizations and the agenda of the 73rd session of the UN General Assembly.